Donate generously to send your favorite contestant to the Wurst Challenge and support the work of FLY Children’s Art Center. The top ten fundraisers at midnight on Friday May 20 move on to compete in the event! 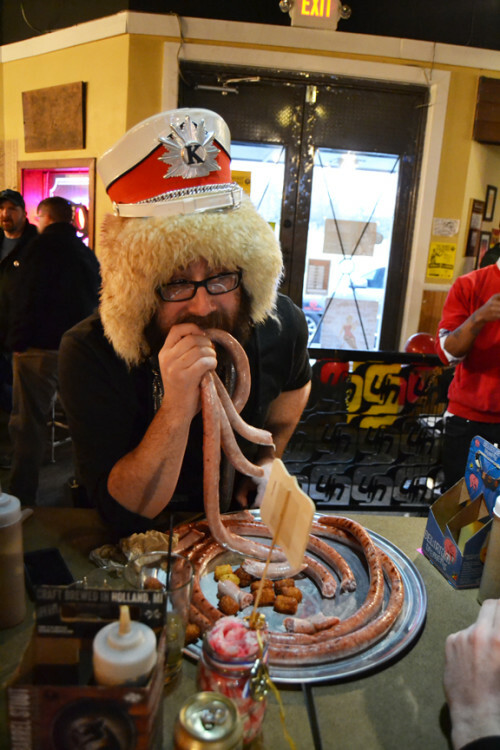 On Sunday, May 22, we’ll gather to cheer on the Wurst Challengers as they face 20 feet of sausage! Time is an illusion. Sausage doubly so.